The challenge of inspiring young, underprivileged and orphaned children in South Africa to learn to read and develop a love of books and learning, is one that social edupreneur Matilda Sekoakoa, together with her business partner, Lerato Kadiaka, have embraced. They are not just actively working to provide solutions, but their inspirational Help A Child Grow Foundation is positively and tangibly changing the lives of these children each day. LoA met with Matilda recently to learn more about her social edupreneurship venture, the Help A Child Grow Foundation, and how it is making a difference. The Help A Child Grow Foundation aims to encourage a love of learning, education, career development, and provide basic necessities to children who are in need. Our focus is on the reinforcement of basic human rights for orphaned underprivileged children and the youth of Ekurhuleni and Gauteng in South Africa. The initiative was founded after identifying the need for these vulnerable children to learn to read at a young age, and be educated with a focus on encouraged learning and understanding the importance and value of education to build positive young futures. The whole ethos behind the Help A Child Grow Foundation is to assist these underprivileged children from the Foundation Phase, helping them to develop and grow so that they can fulfil their potential. One of the ways we support these children is by providing access to developmental and learning programmes, and a range of initiatives that provide a building block for them to learn and develop a love of reading and knowledge that will equip them for life. As a result, when they are older, they will be able to contribute to finding the solutions to so many of the challenges facing South Africa today. participation to practically help orphaned and underprivileged children to read and learn. The Foundation also believes in the power of facilitating character-building motivational talks to inspire and encourage these young children, and to help direct the aid needed to those recipients who can most benefit. The Foundation also looks to change public attitudes to literacy and in particular the raising of awareness around society’s role in the development of the orphaned and underprivileged in South Africa. The mission of the Help A Child Grow Foundation is to promote the wellbeing of disadvantaged children in impoverished communities, empowering them through a strong focus on educational development. Solutions rendered include Workshops for recent graduates, Book Clubs, Mentorship Programmes, Remedial Learning, and Sustainability projects. "The Help A Child Grow Foundation is my first love, as I am passionate about children and education. The Foundation allows me an opportunity to put a smile on a child’s face and make a difference in their lives." How did your edupreneurial journey begin? It began one windy Sunday afternoon over lunch, with a group of friends talking about the significant challenges in South Africa and the potential for philanthropy and the chance for us all to make a difference. Before we knew it, we realised that we wanted to make a change; we wanted to roll up our sleeves and till the soil, so to speak. The particular challenges facing our children with regards to the education system stuck out like a sore thumb. The lack of enthusiasm toward reading, the failing education system in certain regions, the lack of direct career development mechanisms… there was a need for someone to speak for the children and to the children in a language they understood, a language that would inspire them whilst advancing them. We knew that we had found our calling, and this was the catalyst to do something that could make a difference. So what have been the highlights so far, and what is next for your edupreneurial venture? We began by hosting birthday parties whereby guests were encouraged to donate a book instead of a gift. 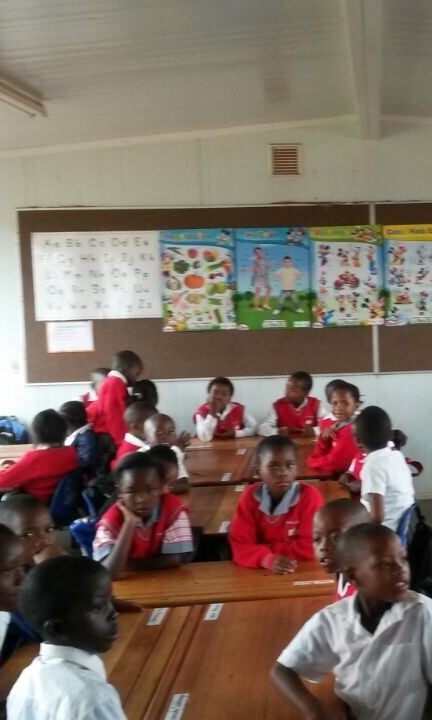 The books were then donated to schools and we have created 2 school libraries to date in South Africa. The news of our activities soon spread, as a result of which more members joined us on our edupreneurial journey, and with these combined efforts, we were able to refurbish a crèche playground and build a vegetable garden. Since then, we have adopted the crèche and we continue to work with them as one of our projects. Over the past two years, the Help A Child Grow Foundation has supported local community initiatives that help to ensure the growth of children by providing them with food that is of both nutritional and educational nature. Food that will stimulate their mental capacity, as well as food that will help them grow to experience such stimulation. Just as the famous saying "It takes a village to raise a child", Help a Child Grow (HCG) aspires to help raise a generation of educated and unrestricted children. Members of the Help A Child Grow Foundation have been involved in projects that work towards these goals, and our very own Zanele Ndlovu successfully established a feeding scheme for the children of Kliptown, in Soweto, South Africa. Once a week, she distributed sandwiches and fruit to those children, who were mostly from disadvantaged homes, and where food is considered to be a luxury. "What would make me the happiest woman is to know that I left something tangible with a child I interact with, equipping her with knowledge and helping her to find solutions to better her community and the socio-economic challenges they are faced with." "I believe my existence here at the Help A Child Grow Foundation is to serve, and waking up in the morning knowing that I am a step closer to changing a child’s life for the better, to me its everything I live for." Another wonderful success story over the past couple of years is an initiative driven by another member of the Help A Child Grow Foundation, Gugulethu (Gugu) Nkuna. She led a drive to help renovate the library of Carter Primary School which is situated in Alexandra, a township that borders Sandton in Johannesburg, South Africa. The library was in dire need of an upgrade in order for it to stimulate, benefit and improve the educational and enrichment lives of the 1088 pupils at the school. The school’s vision to have a fully functioning library that would be an environment conducive enough for learning, was helped on its way to fulfilment through the fundraising efforts of the Help A Child Grow Foundation. A book collection drive was organised, and funds were collected to purchase additional stationery and shelving for the library, which today is a source of learning and inspiration for young children in the community. The book retailer, Exclusive Books, has assisted in donating books in the past for our edupreneurial venture, and they were kind enough to donate again in December 2014. African Languages Books and Pan MacMillan publishers also donated books worth a total of R1 926,96 which was great news, but unfortunately the number of books provided were not quite enough to start a library for one of our chosen projects, the Kwanele Primary School which is located in a township in Alberton, east of Johannesburg. "The best gift I could ever give a child is my undivided attention and a book." So, the campaign that we are busy working on now for Mandela Day of Goodwill on the 17th of July is collecting books for this deserving school. We have requested Nestle to be part of the initiative by offering products and nutrition workshops to grade leaders and teachers in each school we work with. For us its important to leave the kids with something tangible, solutions that will enable them to find creative ways to solve the issues that they are faced with; we want our children to be well rounded individuals from the knowledge side and from a sustainability perspective. 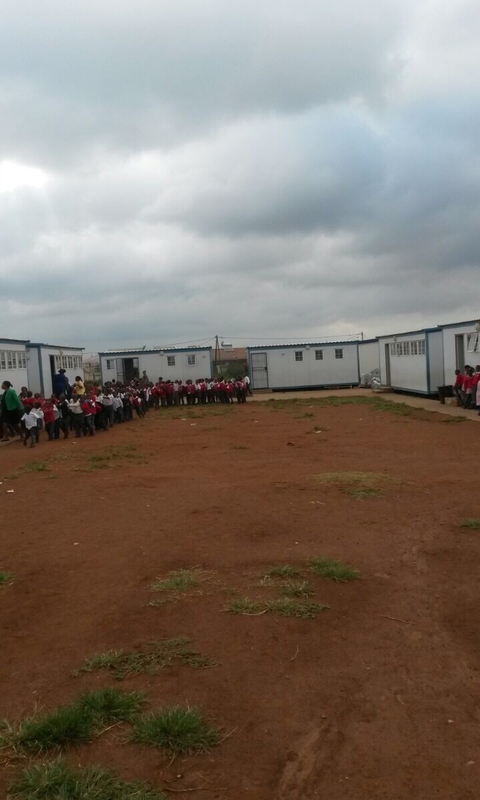 Our hope is that Kwanele Primary School and others like it will become inspirational and well-resourced places of learning, reading and encouragement for the young children who go there. They are South Africa’s future, so it is important that they are well equipped with the knowledge, love of learning and reading, and motivation to eventually become citizens of tomorrow who can make a positive contribution to society themselves and change things for the better.